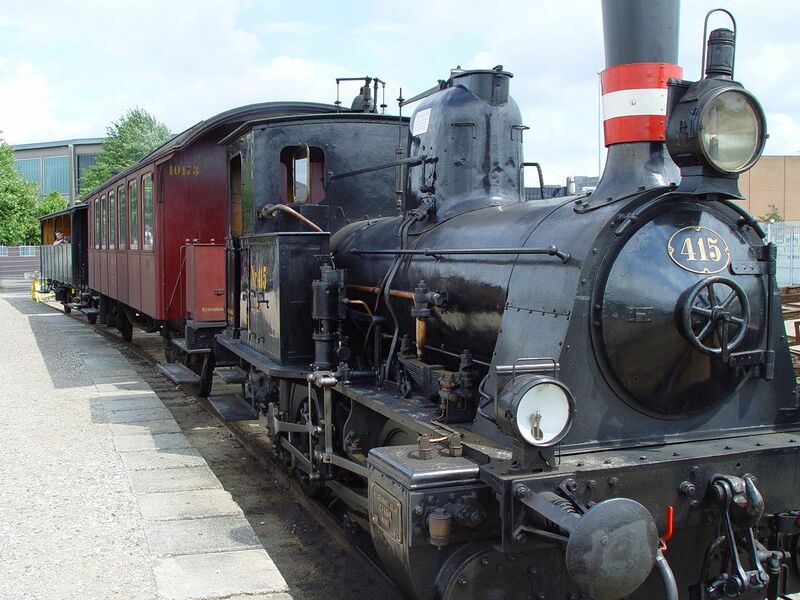 Class B was built by Stephensons & co. in UK in 1869. 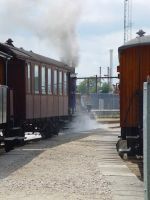 Picture at the Danish railways museum in Odense 10.7.2016 by Ilkka Siissalo. 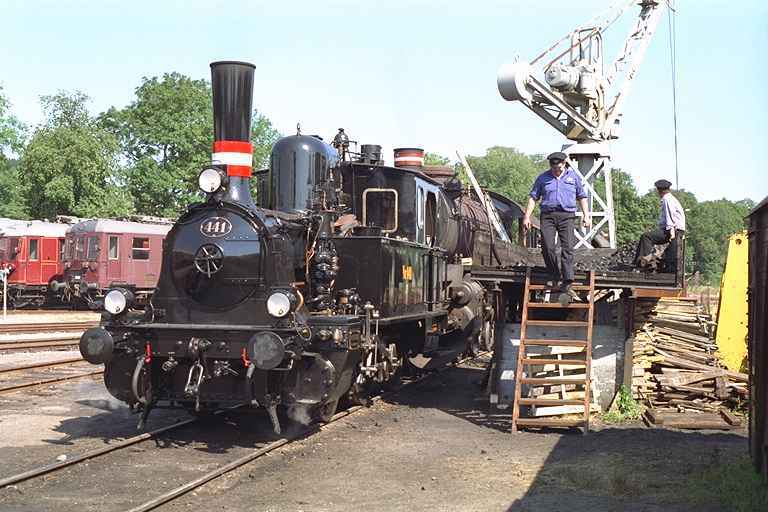 A class Hs light steam locomotive with two coaches was hauling tourists on the tracks of the Danish national railway museum in Odense 3.7.2004 when Ilkka Siissalo took this picture. 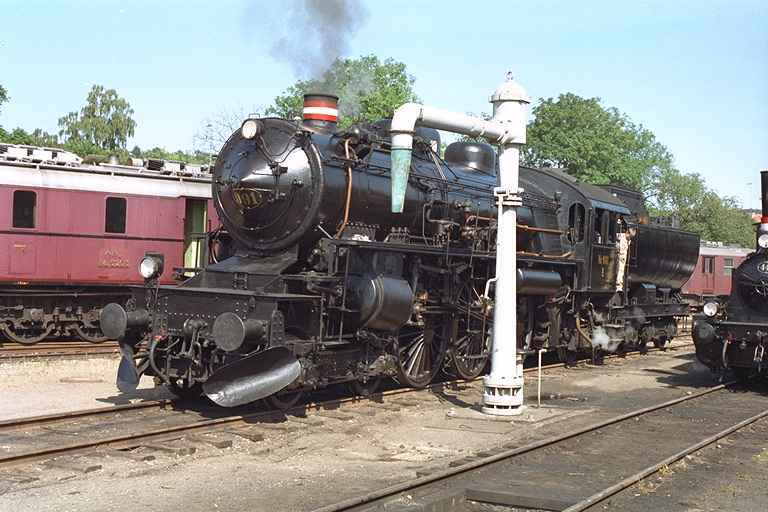 More coal. 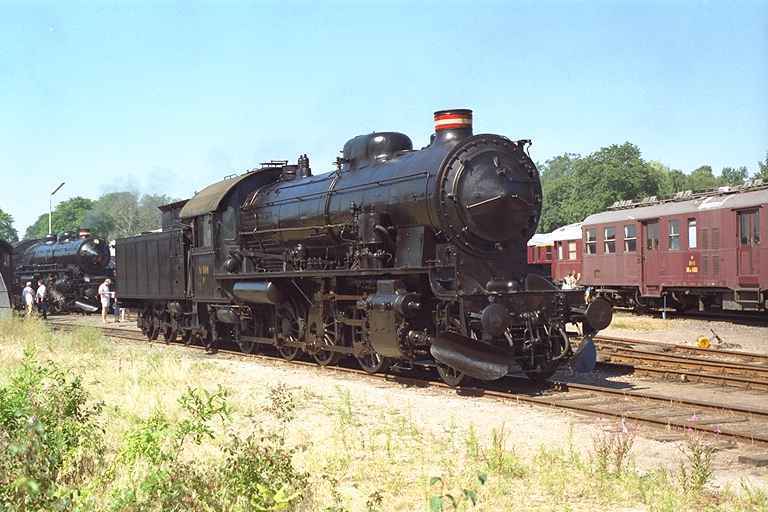 The same class Hs locomotive as above. 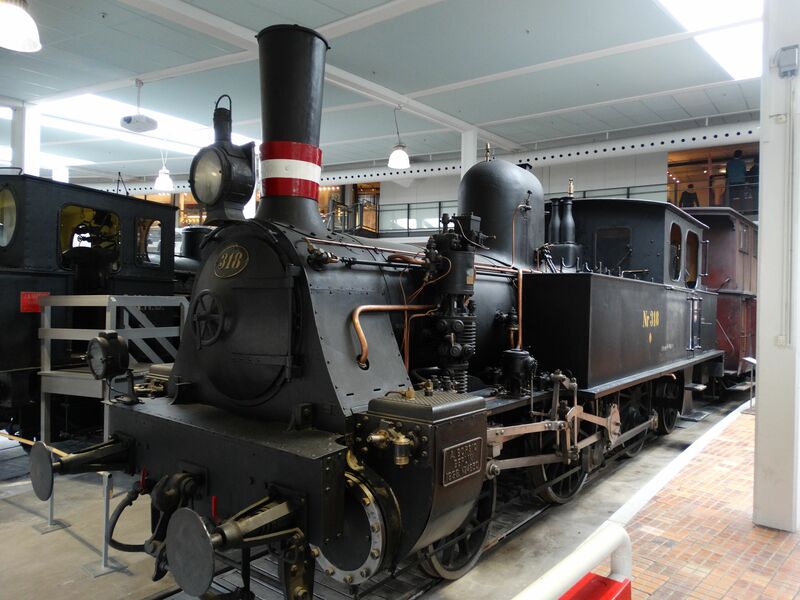 Danish national railway museum in Odense 3.7.2004, picture by Ilkka Siissalo. 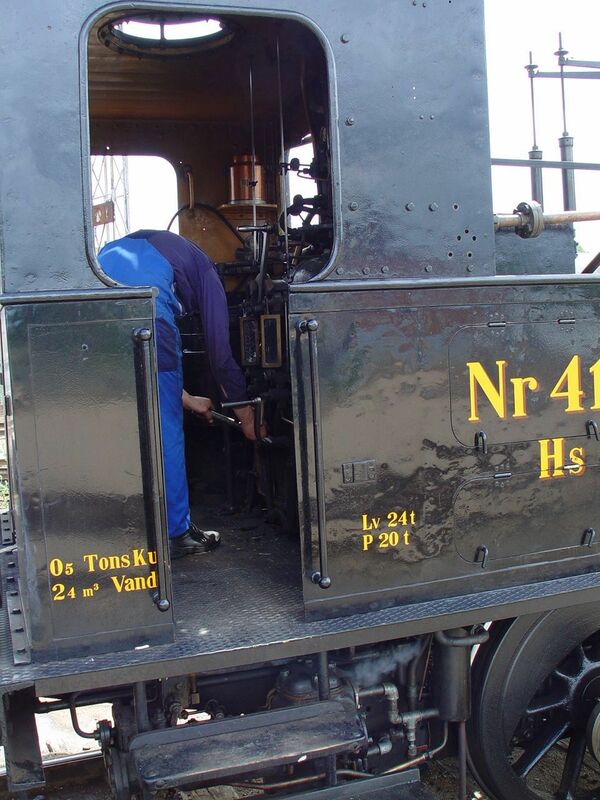 And there we go... 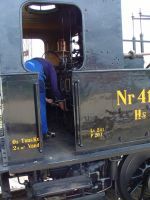 The same class Hs locomotive as above. 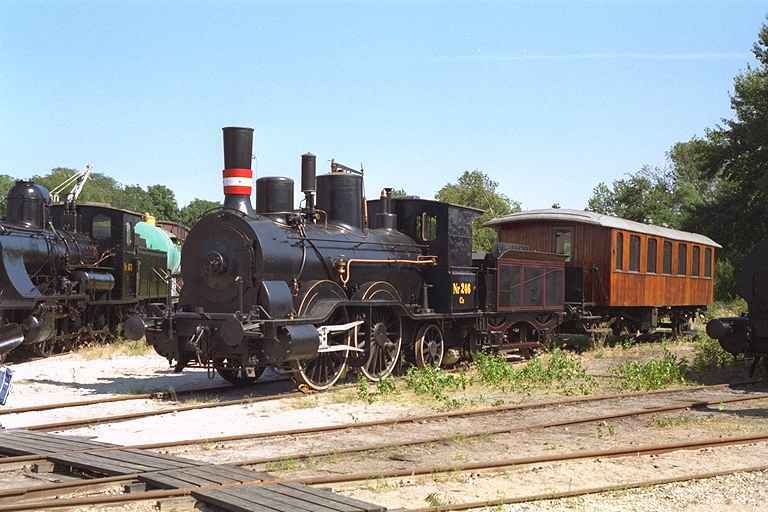 Danish national railway museum in Odense 3.7.2004, picture by Ilkka Siissalo. Class P light steam locomotive, built in D�sseldorf Germany in 1882 by Hohenzollern. 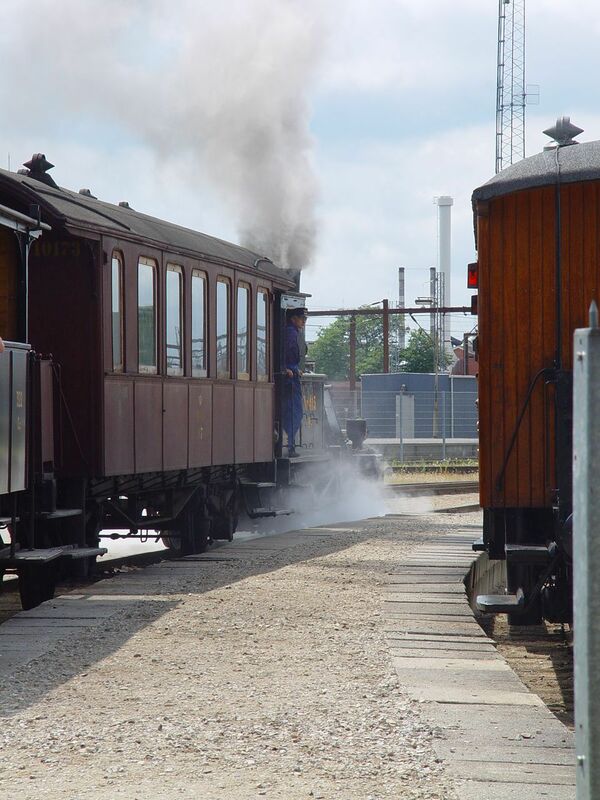 Picture at the Danish railways museum in Odense 10.7.2016 by Ilkka Siissalo. 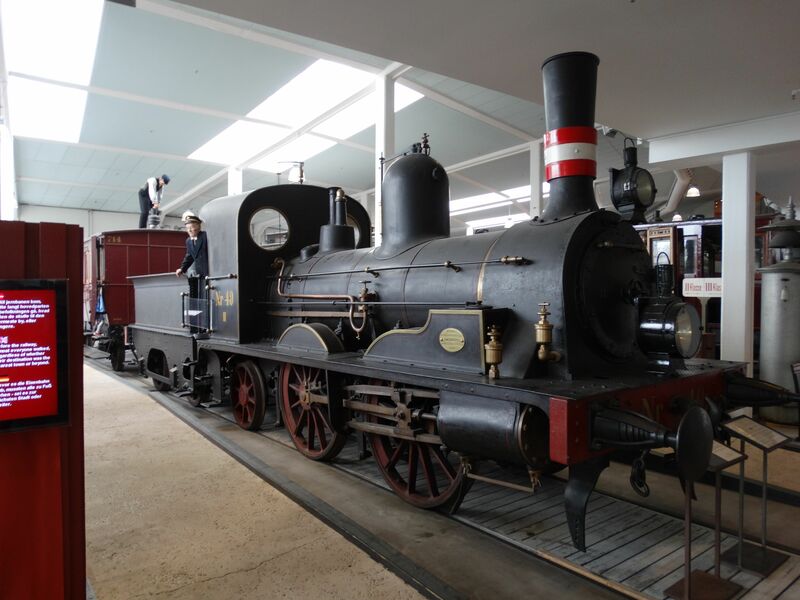 Class O steam engine built by Borsig in Germany in 1888. 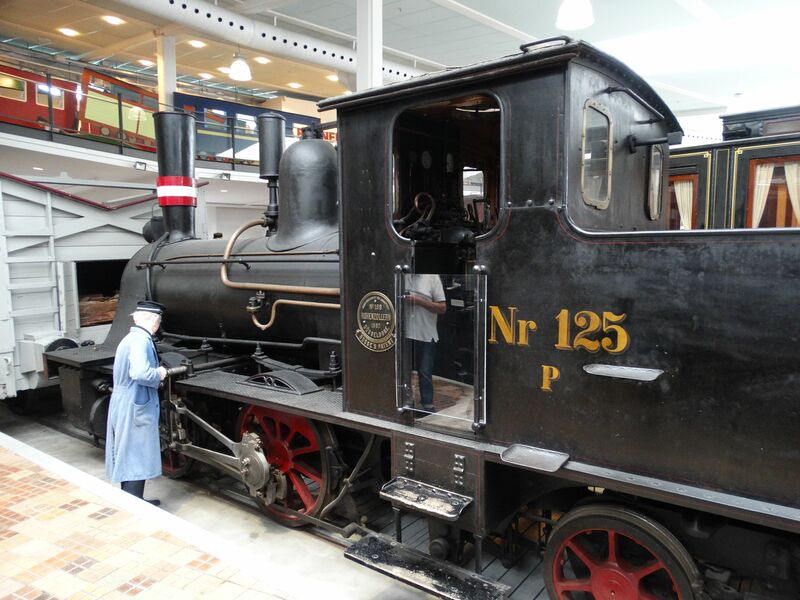 Picture at the Danish railways museum in Odense 10.7.2016 by Ilkka Siissalo.